Farm workers provide an indispensable service, yet their jobs are some of the most dangerous and least adequately compensated in the country. Much of the injustice and inhumanity farm workers face stems from their specific exclusion from basic protections that workers in other sectors of society receive. Under United States law, workers are guaranteed certain labor protections to ensure decent working conditions. These protections have not always been guaranteed; workers struggled to win them in the 1930s. Today, rights like guaranteed minimum wage and overtime pay have been around for so long that they are taken for granted. However, it’s important to realize that farm workers are specifically excluded from many of these commonplace protections that others take for granted. The National Labor Relations Act was passed in 1935. It forbids employers from firing a worker for joining, organizing, or supporting a labor union. It also establishes a structure for unions and employers to engage in collective bargaining. Farm workers are excluded from this law. The Fair Labor Standards Act (FLSA), enacted in 1938, guarantees a minimum wage for each hour worked and requires overtime pay to most employees—those working more than 40 hours in a week must be paid one and a half time their regular rate of pay for each hour exceeding 40. FLSA fully excluded farm workers until 1966, and to this day it continues to exclude them in significant ways: farm workers have no right to overtime pay, workers on small farms are not entitled to receive minimum wage, and children as young as twelve are legally allowed to work in the fields. The major federal employment law for farm workers is the Migrant and Seasonal Agricultural Worker Protection Act of 1983 (or AWPA), which requires employers to disclose and comply with the terms of the jobs they offer, and upholds some safety standards. However, this law does NOT provide workers with access to collective bargaining or unions. Starting in California in the 1960s, farm workers led by Cesar Chavez and Delores Huerta confronted this history of injustice and shame by taking their situation into their own hands and harnessing the power of the people to bring about change. They could have complained or asked for charity, but instead they organized, in spite of all of the adversities they faced. 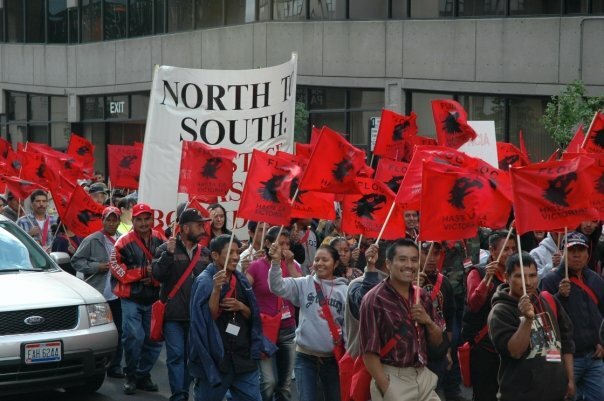 The United Farm Workers (UFW) continues its decades-long work, most recently staging a 13-day, 200 mile march to the California capitol to remove obstacles for farm workers who want to join a union. The Farm Labor Organizing Committee (FLOC) has successfully won seats for farm workers at the bargaining table with growers and corporations. Starting with Campbell’s Soup, they mobilized consumers to put pressure on powerful corporations, and have continued to win victories with their corporate campaign strategy ever since. They are currently making strides in their campaign with Reynolds American Tobacco Corporation for better conditions for farm workers in North Carolina’s tobacco fields. The Coalition of Immokalee Workers (CIW), although not a union, takes a similar approach to raising wages and improving conditions for tomato pickers in Florida. Through energetic corporate campaigns characterized by art and music, they have successfully reached agreements with fast food and food service corporations, and are currently working to hold supermarkets accountable for their supply chains. Pineros y Campesinos Unidos del Noroeste (PCUN), Northwest Treeplanters and Farmworkers United in English, is another union of farm workers, nursery and reforestation workers based in Oregon. 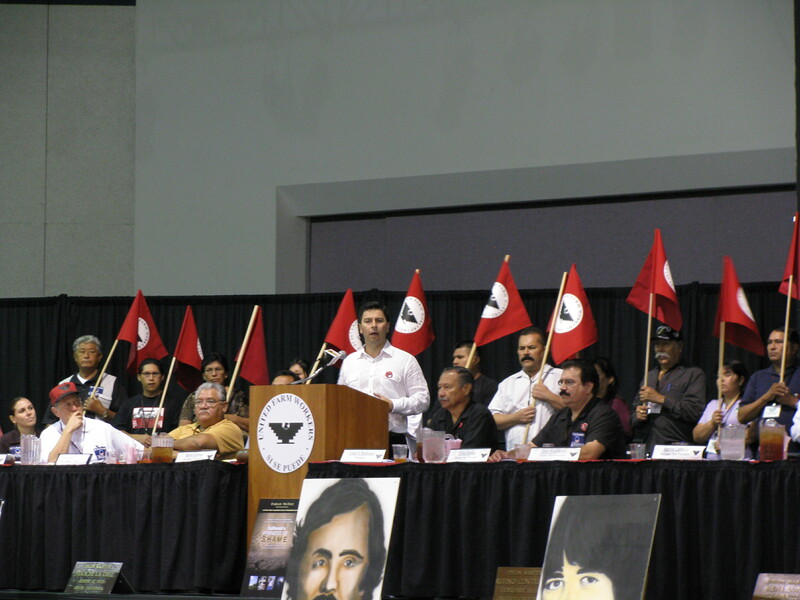 PCUN engages in community and workplace organizing. It has a collective bargaining committee that works to establish respect, fairness and dignity between growers and workers. Its latest project is building the CAPACES Leadership Institute. Visit our Labor Laws links section.